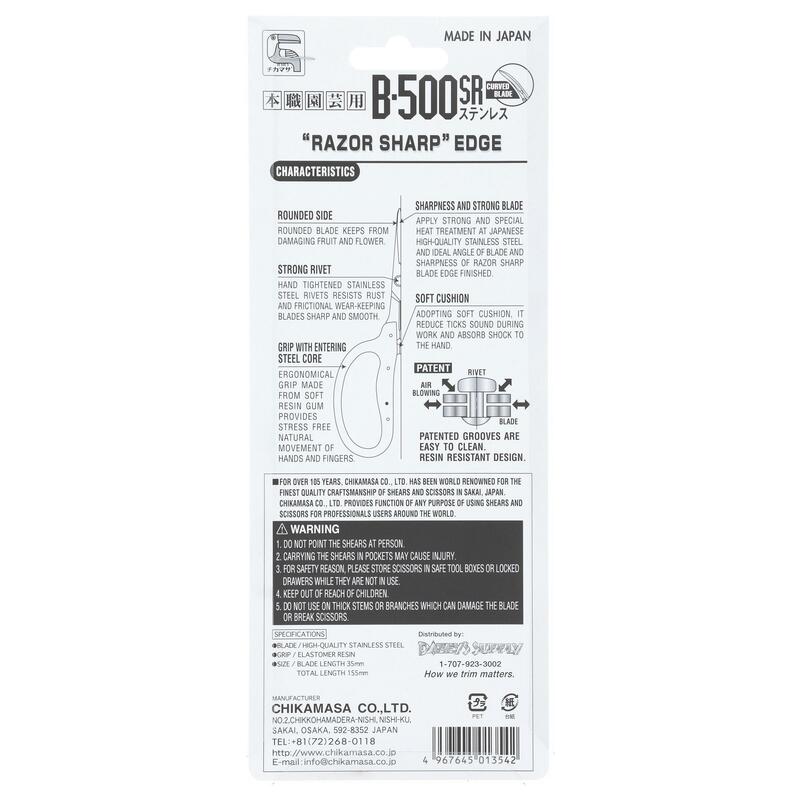 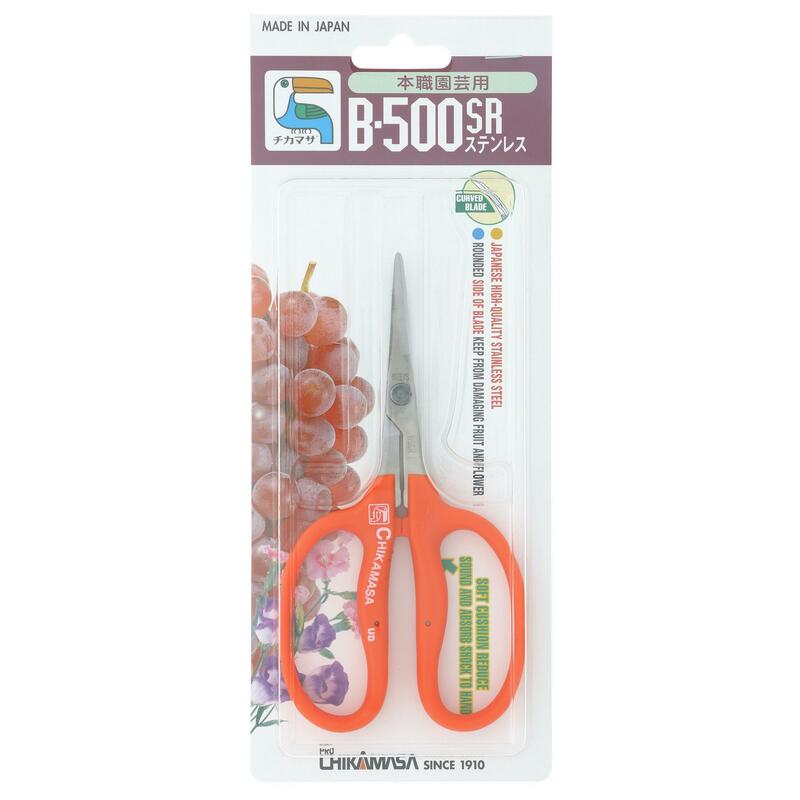 The Chikamasa B-500SR are curved, stainless steel blades with no coating. 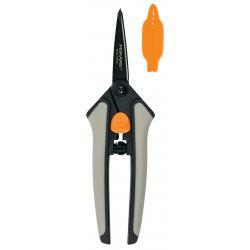 A curved tip makes it easy to reach hard-to-manage places when trimming or pruning. The outside edges of these Japanese-steel blades are grounded round, a first for Chikamasa. 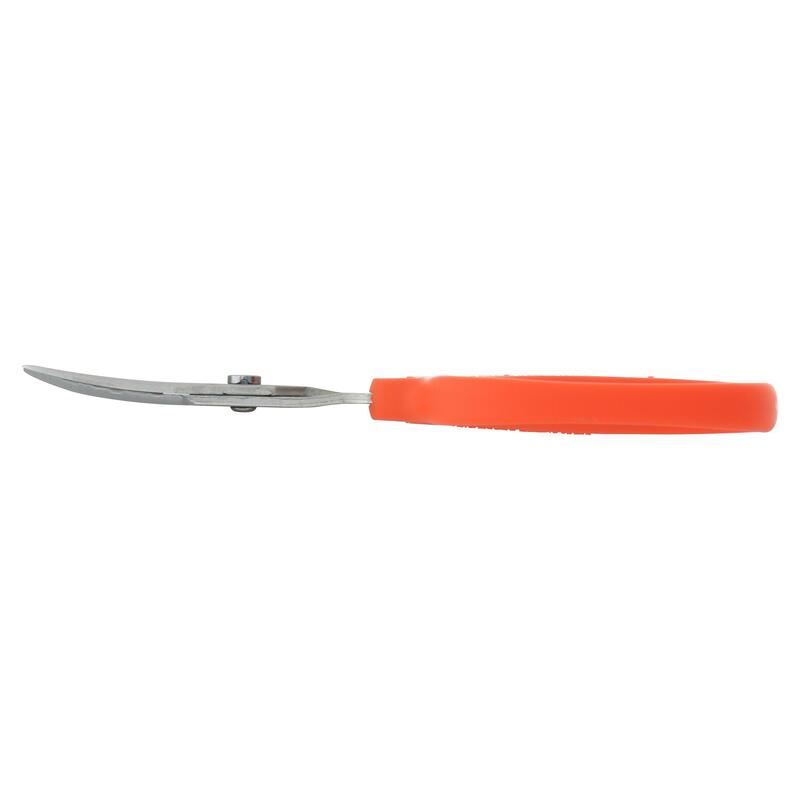 Rounded edges on scissors protect the grain of the flower, grape or other agricultural commodity you're pruning from bruising or other damage as you work. 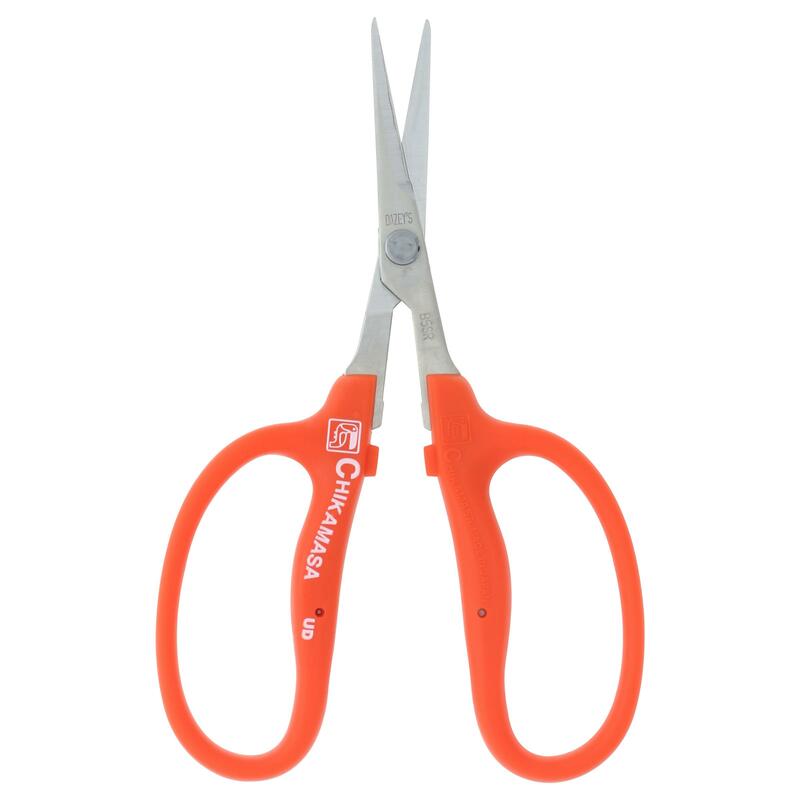 The B-500 series is the newest non-spring scissor from Chikamasa, designed specifically for thriving and ever-expanding agriculture growers in the USA. 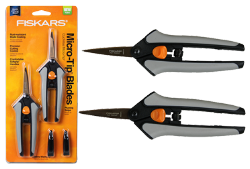 Chikamasa combines knowledge from the ancient art of bonsai trimming with the needs of modern consumer agriculture. 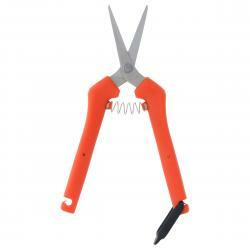 The result is a line of specialized garden scissors ideal for long hours of cutting and pruning in the field or chair.